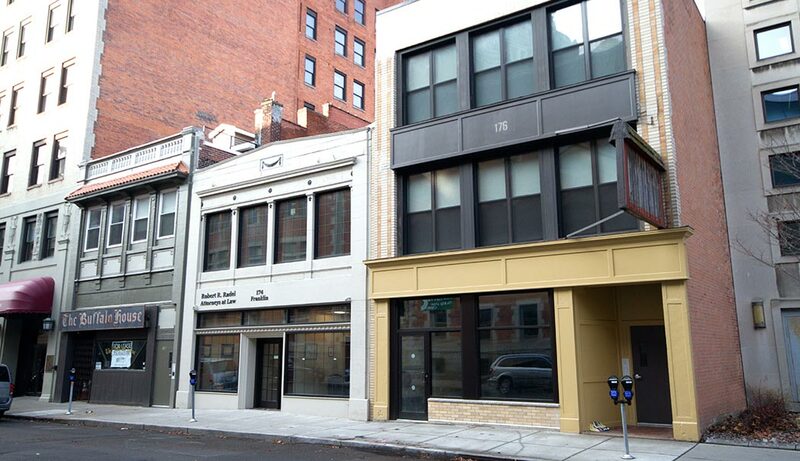 A cozy and eclectic 1700sf of boutique space is now available for lease at 176 Franklin. This space is perfect for a coffee shop, small bakery, law office or specialty store. Located on the highly trafficked Franklin Street next to the new Federal Courthouse, US Immigration Court and across from the Buffalo Niagara Convention Center, 172 Franklin is within walking distance of City Hall, the Chippewa Entertainment District, Main Street and scores of office buildings and tenants alike. Basement access for storage or inventory at no additional cost. High visibility with building signage.